Many avid wine drinkers as well as casual partakers believe that white wine should be served cold, and red wines should be drunk at room temperature. However, a few degrees on either side of the target temperature zone can mean the difference in a smile after that first sip, or a quick swallow followed by a wince. Dave McIntyre stated in The Washington Post that temperature monitoring is an advantageous way to ensure a wine drinker's enjoyment. Most refrigerators are kept around 40 degrees, which can be too cold for white wines and can diminish fruit notes and intensify acidity. "Serving white wine too cold is like putting a mask on it," said Central Michel Richard wine director David Hale. "You cover up the non-fruit aromas, like herbs or minerals. It turns the wine into alcoholic water." McIntyre suggested leaving a bottle out at room temperature for around 30 minutes before serving it, especially if it has been chilling for more than a few hours. Hale keeps wines in a temperature monitored vault at Central Michel Richard; white wines are stored and served at 50 degrees. Additionally, sparkling white wines should be chilled and served at a much lower temperature than still wines, according to Lettie Teague of The Wall Street Journal. Sparkling wines have a higher acidity content and chilling such types better preserves the carbonation. McIntyre said the custom of serving red wine at room temperature dates back to before air conditioning and heating was publicly available. If served at 70 degrees or more, red wines can have a lax, sloppy taste. He suggested slightly chilling a red wine for around a half hour farther away from the chill source to elevate aromas and burnish fruit flavors. Central Michel Richard stores and serves red wines at 62 degrees, in line with McIntyre's suggestions. Teague stated that when a wine is too warm, it can cloud the flavor and the right temperature can sharpen the taste. Teague also shared a popular tip to improve a wine's temperature. When a red wine arrives at the table too warm, a drinker can put an ice cube in the glass and swirl it for about four seconds, then take it out to avoid watering down the glass. This will lower the temperature of a red wine just enough to ensure it is not too warm or too chilled. 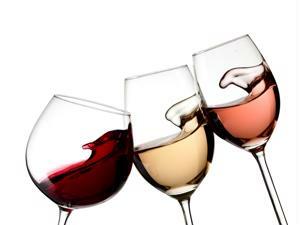 Overall, temperature monitoring of both white and red wines can greatly improve the taste and overall enjoyment.